being little • bristol uk fashion & lifestyle blog. 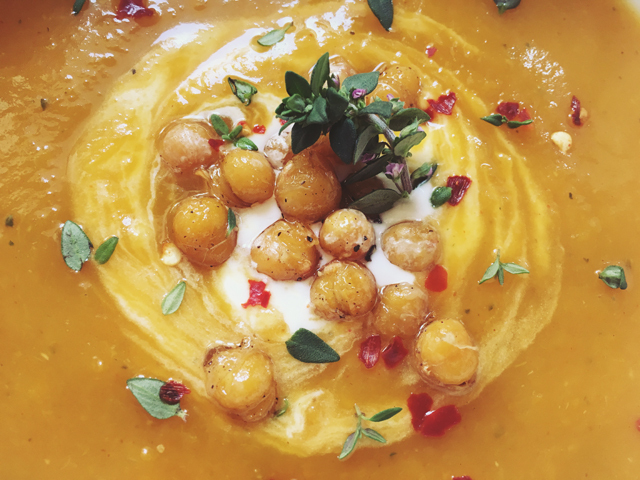 : butternut squash soup with crispy chickpeas. Bloody hell I love soup. I've gone a bit soup mad lately. I find it really comforting to make and eat, and you can make a whole batch and keep it in your fridge or freezer for a speedy meal. 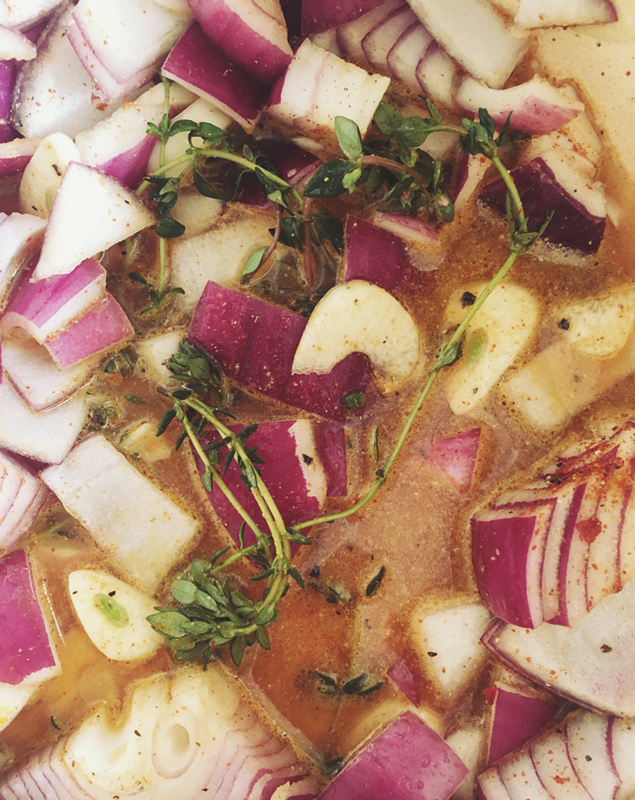 Most of my soups start out in the same way, but a few changes to the spices and a couple of extra additions make this one a little bit more special! • Peel, de-seed and chop the butternut squashes, and pop in the oven for about half an hour, or until the flesh is tender. 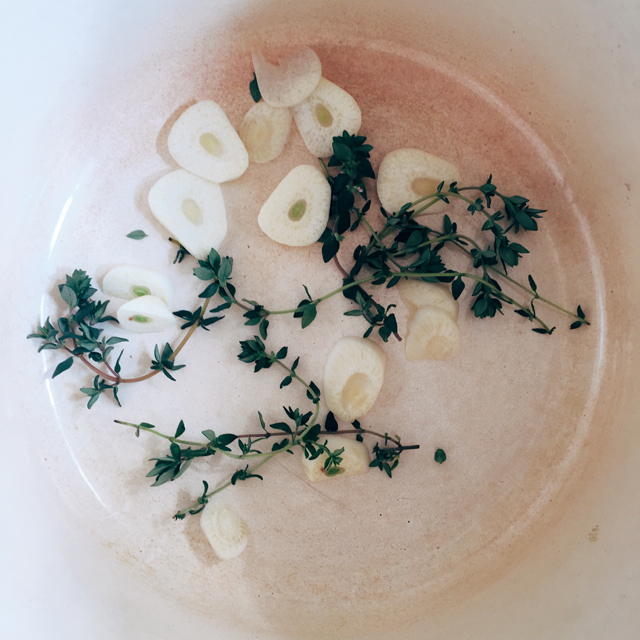 • In a large pan, add the garlic, onion, thyme and spices and soften in a little water. Add more water if anything starts to stick. • Add the tender butternut to the pan, with the veg stock & enough water to just cover. Simmer for 10 minutes. • Blend the soup, adding more water if you prefer your soup thinner. Add salt if needed. • Dry fry the chickpeas for 5-10 minutes. • Serve with a dollop of creme fraiche, a pinch of chilli flakes, thyme and the chickpeas. Sooo warming and tasty, and it's nice having something in there to contrast the smooth soup. As always, let me know if you make this! Butternut squash is my all time favourite soup. I love making it, in fact I love making any soup. So easy, you can't really go wrong! This looks super yummy and healthy - definitely going to give this a try, I love soup! This looks incredible! 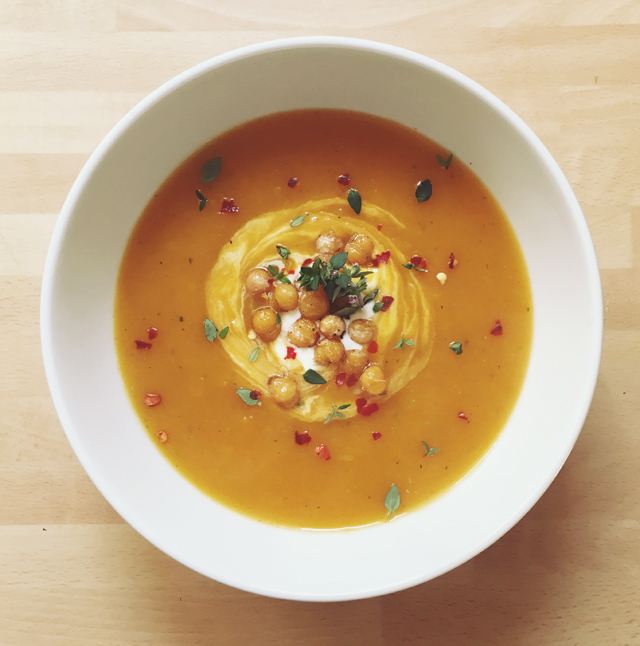 I love butternut squash soup and adding chickpeas is absolute genius! Can't wait to make it myself! This looks incredible, definitely one to try!